Bundy and I took Ickle and Baby Lil to our local library for a little trip out. After Ickle had posted our almost-overdue books in the box at the entrance, she scooted along to the children’s corner to see what was on offer. 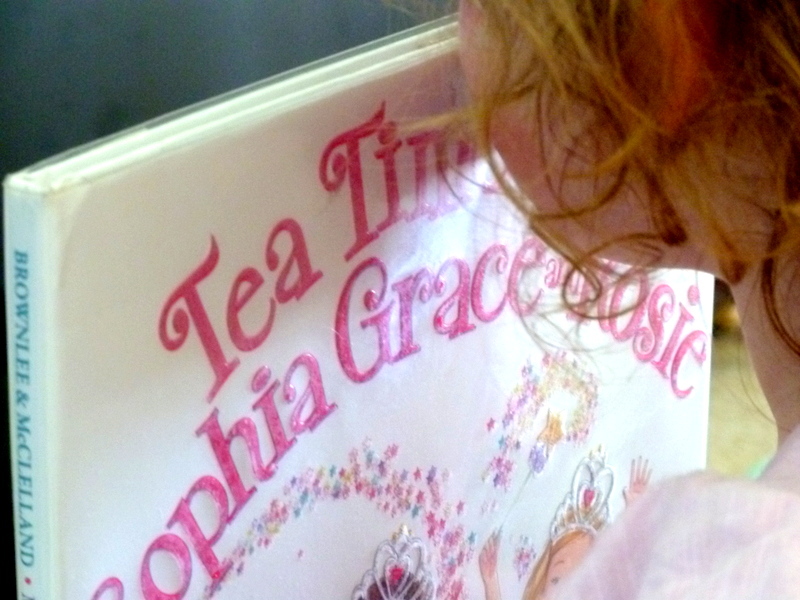 And we ended up with a small selection of books, including the very pink, very sparkly and ever-so-slightly trashy Tea Time with Sophia Grace and Rosie. We did try to dissuade Ickle from this choice, but to no avail. This book was coming home in our library bag, like it or not. And to our surprise, we’ve had good mileage out of it. The book recounts the story of two young divas* who decide to organise a tea party, with a little help from their fairy friends. Ickle has requested it for pre-nap and bedtime reads on numerous occasions. Perhaps it is the pink (on every page) she finds so attractive…or the glitter…or possibly the cupcakes. Hmmm, most likely the cupcakes. So I suggested that, just like Sophia Grace and Rosie, we organise our own tea party, complete with pink-iced treats. First step: invitation design, which went very well. 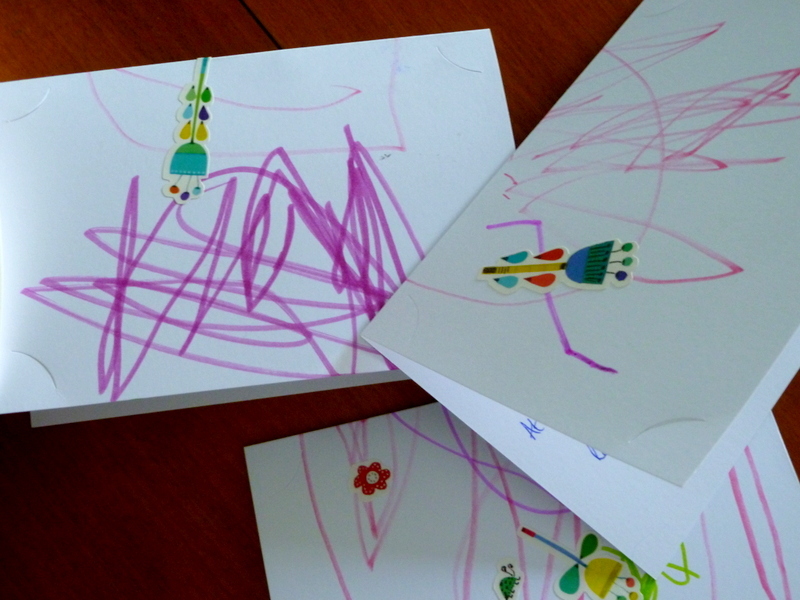 Ickle is now creating shapes with her colouring pens, and not just random scribbles. And stickers are always a fun addition to any artwork. We steered clear of the glitter this time. Phew! 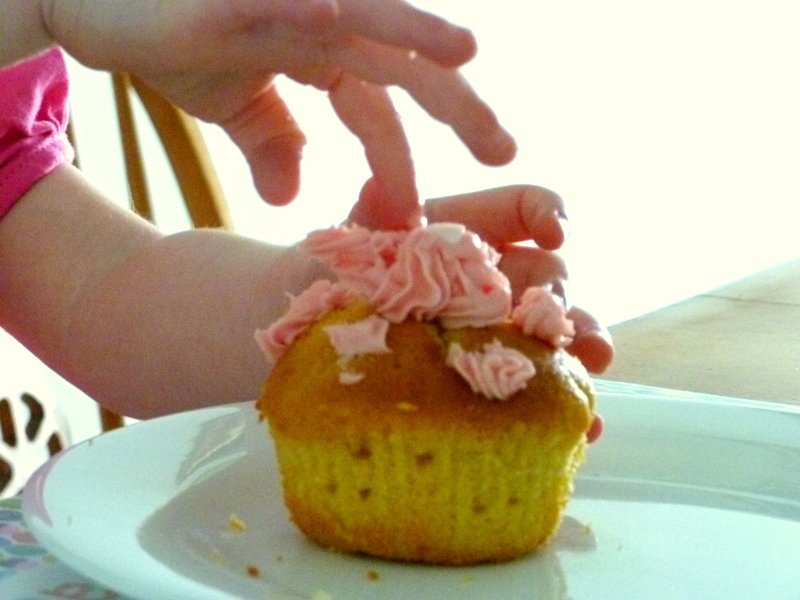 Next, the yummy part: making and decorating the cupcakes. Although Mummy and Nana J did this bit while Ickle was sleeping, so she would have a surprise waiting for her when she woke up. Great icing by the way, Nana! And pretty yummy cupcakes too. *Sophia Grace and Rosie are regulars on The Ellen Show, where they chatter away and perform a variety of songs. They have also made their own movie. Not bad for two children under ten. 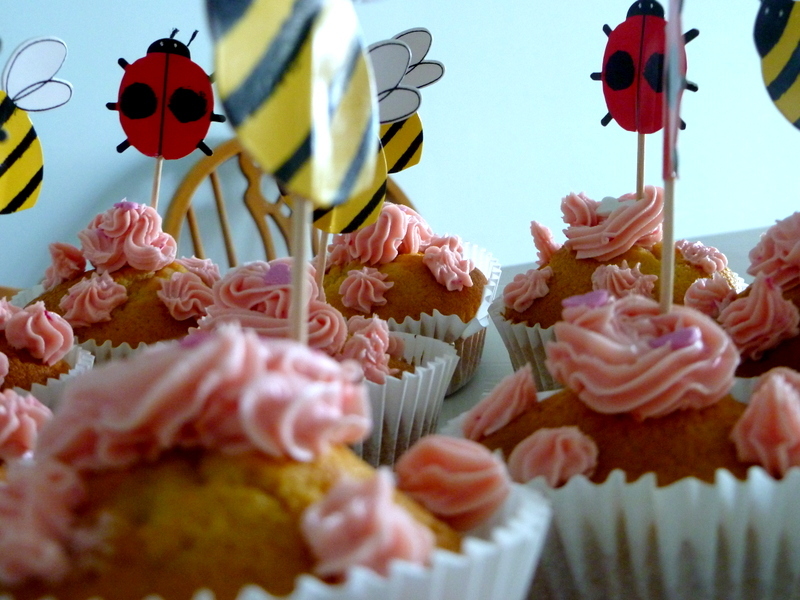 This entry was posted in Food and tagged cupcakes, glitter, invitations, library, pink, Sophia Grace and Rosie, tea party on October 15, 2014 by Laura.